Pchum Ben, or Ancestor’s Day is a uniquely Cambodian ritual, and one of the country’s most important holidays. It’s based on the lunar calendar and is usually between late September to mid October. The holiday is 15 days long, and each year three days are official state holidays. In 2018, the national holiday is October 8-10, and the country shuts down while Cambodians return to their home provinces and visit pagoda after pagoda, making offerings for their ancestors. Putting together the meals that will be served to the monks. Some Cambodians believe this brings them merit, others believe that the food is transferred directly to their dead ancestors. The 15 days of Pchum Ben are a time that the line between the spirit world and the living world is thought to be especially thin. It is believed that the gates of hell open and ghosts are particularly active. Monks chant continuously at pagodas, and some believe that during this time souls released from the spirit world look to find their living relatives and repent — these can be spirits that have bad karma or those that have died a violent or unexpected death. 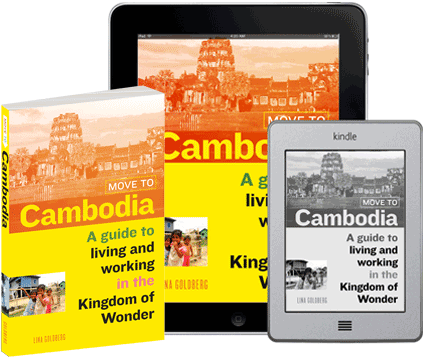 For Cambodians, most of whom had relatives die during the Khmer Rouge era, it is important to do everything they can to ease the transitions of their ancestral spirits to the next phase of their spiritual path. One way they do this is through food. Monks lead visitors to the pagoda in prayer for the souls of their ancestors during Pchum Ben. A few months after I first moved to Cambodia, I was taken along to a pagoda in Kandal province at seven in the morning to participate in the festivities. At the time, I found the whole thing perplexing. I was working at a Cambodian organization and my colleagues would always neglect to tell me crucial bits of information and then laugh at me for not knowing them already. In this case, I showed up in business attire, not realizing that I was supposed to wear white, the Cambodian color of mourning. Luckily, though, I had experienced enough of Cambodia at that point to know in advance that my colleagues wouldn’t warn me in advance of what might or might not be expected of me, and some desperate Googling the night before had turned up the fact that I should bring food offerings to the pagoda. During Pchum Ben, it is traditional to wear white, the Cambodian color of mourning. Offering food is thought to ease the suffering of the dead souls, who are seen as “hungry ghosts” with pinhole mouths, unable to get enough sustenance. 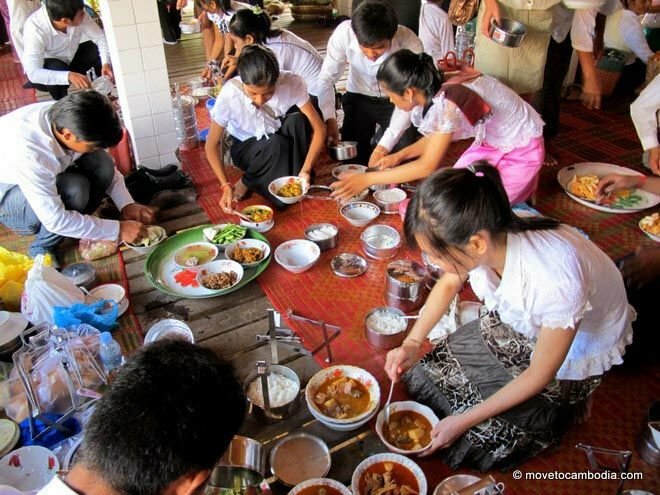 During Pchum Ben Cambodians bring food to the pagodas for the monks. 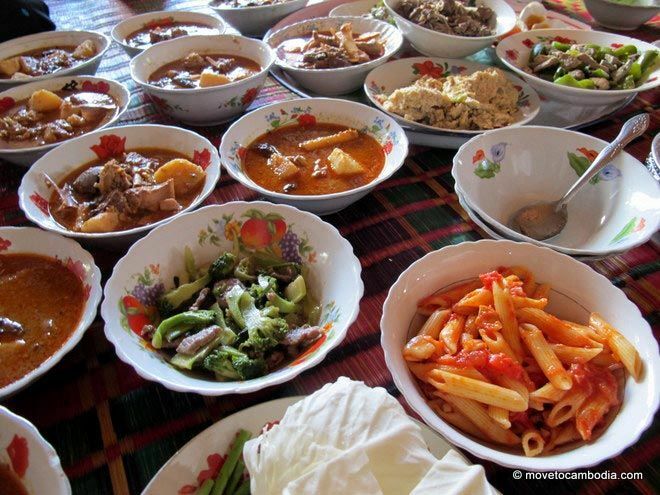 Most Cambodians believe that giving this food brings merit to their ancestors, karmic points, if you will. Others, though, believe that the food they bring is directly transferred to their ancestor’s bellies, either through the monk that eats the food or by throwing snacks like rice balls into a field. Knowing this, I decided to make something my deceased grandfather would enjoy. When I turned up at the rural pagoda with a giant tupperware container filled with penne pasta and tomato sauce, my co-workers giggled uncontrollably and the monks looked confused. Protocol would require them to eat at least one bite of the stuff, and from the looks on their faces, they had never seen anything like it. I almost felt sorry for them, but the thought of how much my grandfather would appreciate the meal was worth it. Pchum Ben is often seen as being a holiday that is inaccessible by foreigners, but that couldn’t be further from the truth. If you tell any Cambodians that you’d like to visit a pagoda during Pchum Ben, there’s a 99% chance they will invite you to come along with them on one of their visits. 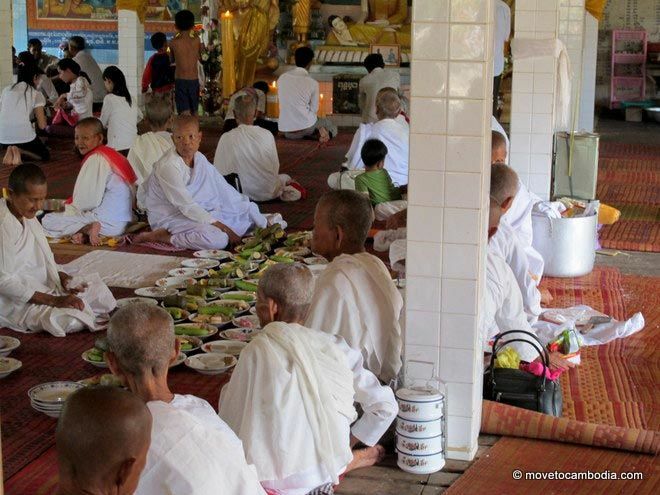 Dozens of bowls of food are left for the monks as offerings during Pchum Ben. If you’d like to visit a pagoda during Pchum Ben, show up early and dress respectfully. This means no shorts and tank tops–keep your knees and shoulders covered. If you want to fit in, wear white. You are not required to bring food, but bring some crisp riel notes of any denomination to leave as a donation at the pagoda. This is a great way to use 100 riel notes, and people will often show up with inches-thick stacks of them. 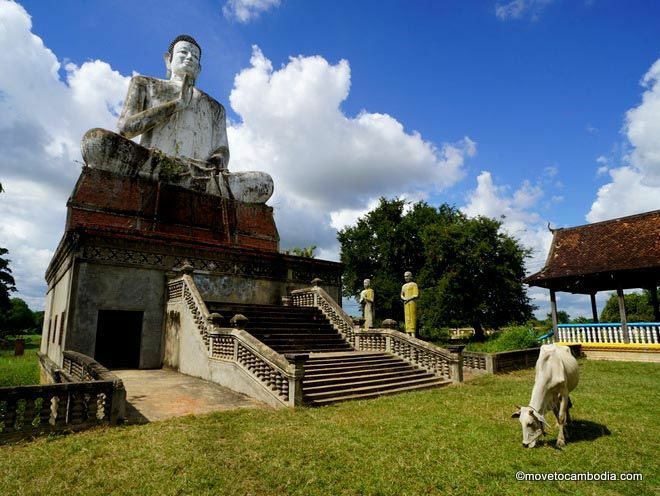 This entry was posted in Holidays and tagged Pchum Ben, religion. Bookmark the permalink.